This necklace is the reason I started an entire line of sport themed jewelry... I have 3 kids, 2 boys and a girl... all in different sports and activities. They wanted something to show how proud they are of their teams. So this dog tag necklace is what I came up with. I have my exclusive swoosh design stamp on it along with team and sport. I can do a school and city if you prefer, or use your city and sport - whatever combination you would like. The tag itself is a nice size for a kid. 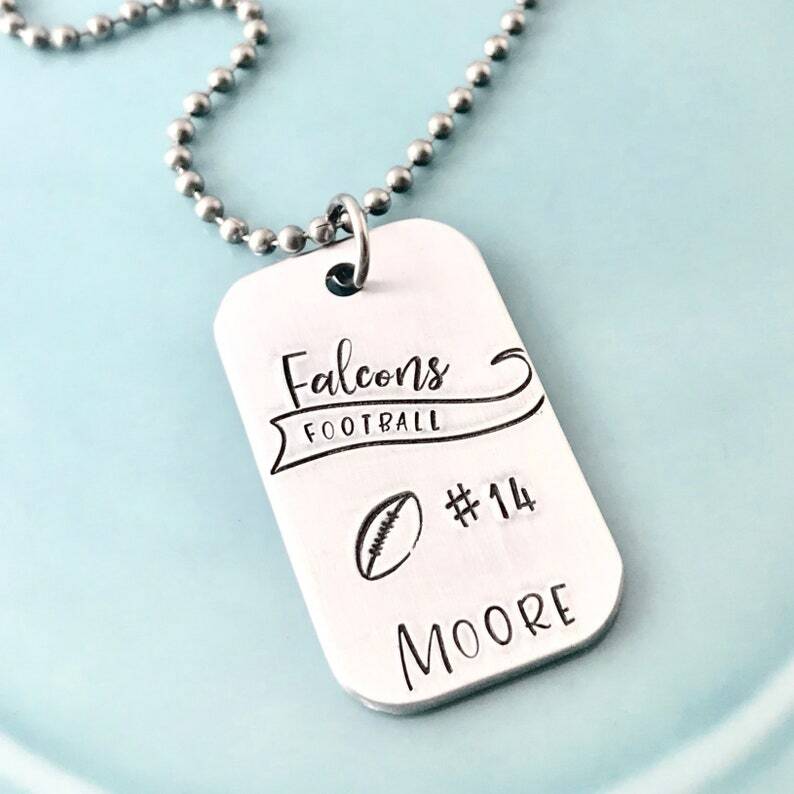 It measures 7/8" wide by 1 1/2 inch long, so it is smaller in size than a standard dog tag necklace. The chain is a 2.4mm stainless steel ball chain with a standard ball chain closure. It is the perfect length to just slip over your head and go. Aluminum does not tarnish and is hypoallergenic. I have most major sports available. Very pleased with order. Personalized just as I asked! I was very impressed with the quality. Seller was very accommodating with the delivery. Would order again.